The proposed fence or wall, showing the location and height. There is no fee for the Zoning Certificate. 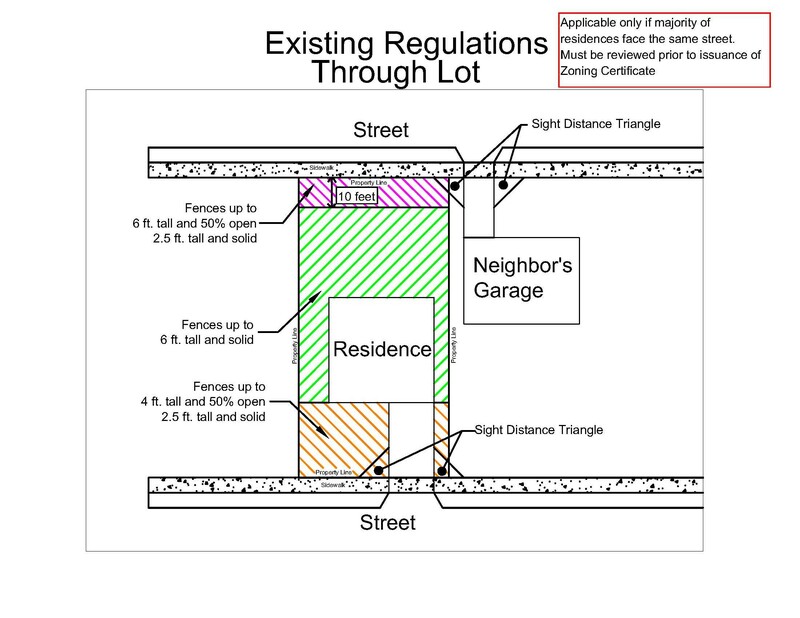 The graphics below show the requirements for fences based on the zoning of the property. To find the zoning of your property, use NorfolkAir. Privacy fences may be allowed closer to the street for side and rear yards in certain circumstances. These fences must be approved by Zoning staff to assure all safety measures are met. Please contact the Department of City Planning to see if a property is eligible to have a privacy fence closer to the streets. 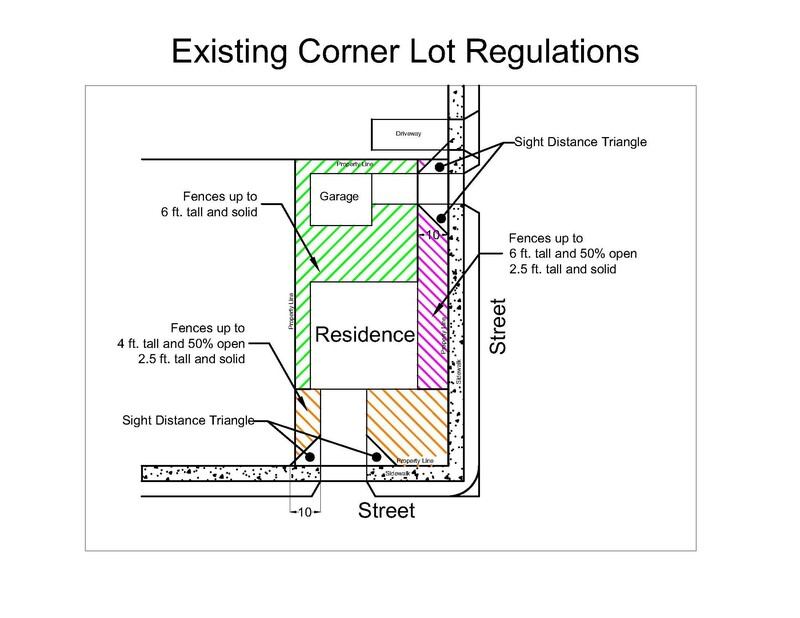 Fence regulations vary depending on what zoning classification a property is located in. Please contact the Department of City Planning for information on what fences are permitted in these districts. 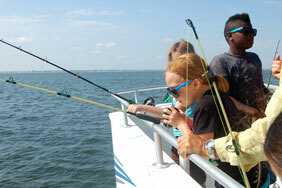 For additional questions, please contact Zoning at 757-664-6588.